As I mentioned a few days back (“Internet radio under fire“), there’s a train that’s been coming down the track for some time. For the internet radio broadcasting network Live365, it’s scheduled to pull into the station by the end of the month. For Gumbo Radio, it also means we will cease our broadcast next weekend on January 31, 2016. We are honored to have served your needs over the last decade and a half. It has been a wild ride both economically, from the pre-dotcom bust days all the way through the Great Recession, as well as technologically, with internet radio going from an unknown, quirky, muddy idea to a ubiquitous technology that hundreds of millions enjoy. Sadly, Live365’s portion of the ride is ending. Until Live365 pulls the plug, Gumbo Radio will keep rolling. 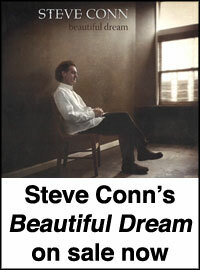 After January 31, this website will remain up, as will the Facebook page. If I figure out a solution to all this, I’ll post information through these two avenues. I started this little project with Live365 in December 2008. It was a few years after my brother Shamus and I, along with our father, had created one of the first internet radio stations – LouisianaRadio.com. After that venture, I couldn’t shake the broadcast bug, so I started Gumbo Radio. The great thing about Live365’s operation was that they were paying BMI, ASCAP, and SESAC for the small shops like Gumbo Radio to broadcast. Under the new regulations, which I think are needed to pay musicians what they justly deserve for their work, the larger outfits like Spotify and Pandora will have to pay more for music. Live365 contends that the new costs are driving it out of business. Since I learned within the last month that Live365 was shutting down, I’ve been looking at other options. As best I can surmise, in order to continue broadcasting the 24-hour, live stereo music stream, I’m looking at costs that are at least ten times what I’ve been paying to broadcast Gumbo Radio over Live365. Raising and ensuring a steady revenue stream to run this operation would then turn this into a job—and work. That’s never what this has been about, and I’m not looking to start now. I’ve never made a dime on Gumbo Radio. It’s always been a money-losing proposition, but I’ve been cool with that. It was my hobby. My golf. I let my kids record voiceovers for the station and let them chime in on which songs needed to be added to and removed from the mix. In the seven years we’ve been broadcasting, we’ve amassed a catalog of 18,545 songs for a playlist that’s over 44.7 days long. The primary focus has always been on the music of Louisiana, but I’ve thrown other artists into the mix like James Brown, Bob Wills, Stevie Ray Vaughan, Mississippi Sheiks, Randy Newman, Otis Redding, Big Star, Johnny “Guitar” Watson, Flat Duo Jets, R.L. Burnside, Mose Allison, Junior Kimbrough, and ZZ Top. In October 2012, I initiated an Indiegogo campaign (Gumbo Radio: phase deux) to upgrade some gear, and we surpassed our goal by 53 percent with the help of our faithful listeners. The current situation puts me in a funk—not the good kind where The Meters are playing. Gumbo Radio has been a place where I’ve been able to scratch multiple itches—music, broadcasting, and computers. I’m not looking for this part of my life to end. I’ve met some wonderful people, both in person and online, who share a common love of music. For that, I’m thankful. That’s been the greatest part of all this—that music has done what it’s supposed to do. It’s brought people together. I’m also frustrated. It’s like my seven-year-old daughter said the other day after I explained the situation to her, “There just seems like there’s something we can do.” I tried to explain to her that sometimes the costs outweigh the benefits, and you just have to move on. I tried to also remind her—as I’ve been trying to tell myself—that maybe there’s a reason for all of this. Maybe there’s something else at work here that we’re just not seeing clearly right now. Part of what allowed Live365 to do what it did was the artist royalty agreement. Until recently, small broadcasters had a different, lower royalty payment schedule. This allowed the little guys who have little or no advertising to be more competitive. In some cases, it’s the only thing that allowed them to exist. Very recently, that part of the royalty agreement was eliminated. Now, Joe Local pays the same rate as NBC or CBS, even though they have a smaller and, most likely, more niche audience. It’s a rate increase many can’t handle. The New York Times reports that Columbia University’s WKCR has shut down its online operation. For more details and to sign a petition, visit SaveNetRadio 3.0. Well, not exactly. But it’s getting close, so we’ve thrown some Christmas tunes into the musical mix for good measure. Don’t worry, we won’t bombarded you with “Jingle Bells.” We’ll just throw in a holiday number every now and then for good measure. Well, it’s only taken about 18 months, but Gumbo Radio is now officially listed on iTunes! Just click on your iTunes music library, then click Internet. You’ll find us listed in alphabetical order under the category Eclectic. 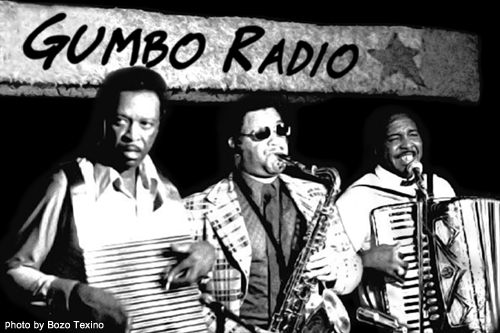 Within the next week or so, Gumbo Radio will switch from its live mode to its canned broadcast mode for about a week. This will give us time to move the operation to a new secret bunker. Don’t worry though. You’ll still be able to listen to Gumbo Radio around the clock (but with Live365’s commercials mixed in). Once we have our entire system back up and running, we’ll flip the switch back to the live mode. Do yourself a favor. 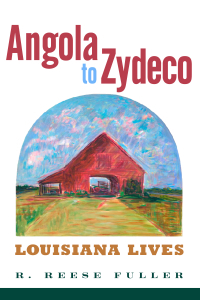 Go check out the incredible work Dr. Joshua Clegg Caffery has done on John and Alan Lomax’s 1934 trip to south Louisiana. You won’t be disappointed. 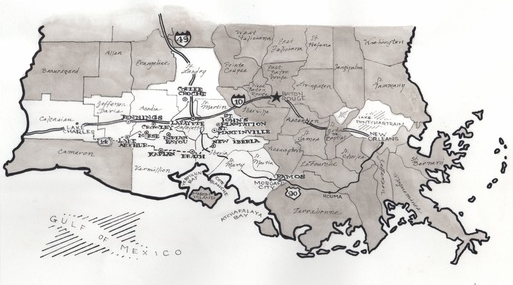 While you’re at it, check out Caffery’s exemplary book Traditional Music in Coastal Louisiana: The 1934 Lomax Recordings. I’ve been so caught up in the holidays that I forgot to mark Gumbo Radio’s birthday! Five years ago, I kicked off this little dog-and-pony show, and the obsession remains. Since last year, I’ve added another couple of weeks of music for a playlist that’s 35-days long. Every time I update the list with new music, I think Yeah, that’s good. That ought to be enough for a while. But then I run across something I just have to add. Or even better, my kids hear something and say, “We need to add that to Gumbo Radio.” The apples have definitely fallen very closely to the tree. And just as a heads up, on Christmas Eve, I’m switching the whole format to Christmas tunes for that day and Christmas day. But on Dec. 26, we’re back to the live mix of music from Louisiana. Here’s wishing you and yours a safe and happy holiday season. With today’s addition of just over 1,000 songs to Gumbo Radio, the playlist is now over 31 days long. So in theory you can list to Gumbo Radio live from Lafayette for an entire month without hearing the same song twice. I’ll continue to add tunes to the catalog, but for now enjoy the current month of music! Check out the new promo that’s airing on Live365.